Every year, around this time, the question of the best sunscreens comes up — and I'm always thrilled, since it's one of my areas of expertise. First of all: if you're not already using sunscreen on the daily, start doing it NOW. Even in winter. Even on cloudy days. Dollar for dollar, daily sunscreen use is the best and more cost-effective anti-aging product you can buy. Trust me. You'll thank me later when you're less wrinkly and sunspotted, and look much younger than your actual age without lasers, needles, and surgery (which I'm not against, for the record, but they're $$$, and we need that money for clothes, amirite?). Hate the way your sunscreen feels/smells/looks? I feel ya. Here's where I can help. As a lifelong devotee of sun protection, I am always seeking out the least horrible sunscreens, because those are the ones I'll actually use. I prefer products that are fragrance-free, non-irritating, non-greasy, mostly free of oil and alcohol, and which provide broad-spectrum UVA and UVB protection. I'm always trying out new sunscreens because I hope that there's something even better out there. Below are the ones that I personally use and repurchase. TiZO SPF 40 Tinted Mineral Sunscreen - My current favorite everyday facial sunscreen. This serves as my moisturizer, sunscreen, and foundation, as it has a sheer tint that helps prevent the white cast that many mineral sunscreens can leave. I've tried countless mineral/physical sunscreens, and so many of them are way too greasy or heavy to feel comfortable on my skin. This one blends in smoothly, doesn't feel greasy, has no scent whatsoever, and dries to a natural finish. I usually top mine with powder to mattify and cover up my acne scarring, but some might prefer the slightly glowy look. The tint only comes in one light shade, which could be too light for other women of color. An untinted version is also available. Best for: Sensitive skin that is normal to oily. 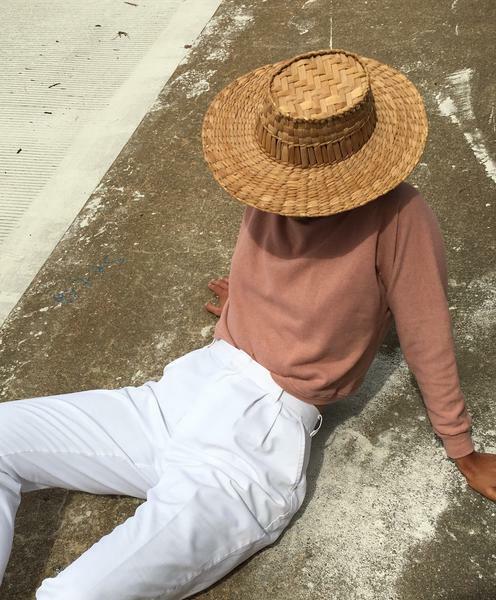 Fair to light skintones. 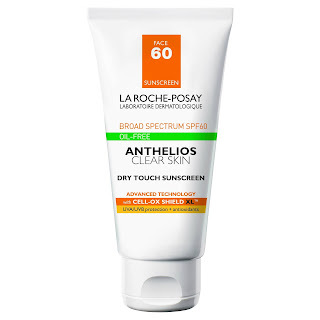 La Roche-Posay Anthelios 60 Clear Skin Sunscreen - My savior on sweaty days. This is my pick for the days when you don't want to feel anything on your face, but still want great SPF protection. I first discovered this sunscreen while in Paris a few months ago. I like to buy beauty products abroad, due to liquid restrictions and because the EU has more approved sunscreen ingredients than the US does, which means better sunscreens with more advanced formulations and better textures are often available there. This is the U.S. equivalent of my favorite sunscreen from that trip, and I'm happy to report that it is very similar. It's extremely lightweight, easy to blend, and dries to a matte texture that is great under makeup. Perfect for the truly sweltering days or for the oily-faced like me. Since the active ingredients in this one are chemical instead of mineral/physical, this sunscreen works well for people with darker skin, for whom physical sunscreens can be too white. 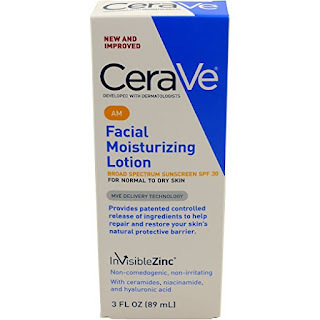 Cerave AM Moisturizing Lotion - My favorite basic moisturizing sunscreen that's cheap as chips. This sunscreen is a staple in my bathroom, as it's inexpensive, effective, and perfect for the days when I feel like my face is a little bit on the dry side. I also use it daily as my neck sunscreen (yup, I like to have a separate product for that area), since my neck is usually drier than on my face, and I personally prefer not to use tinted or more expensive products on my neck. Features: Moisturizing, fragrance-free, easy to blend, chemical and physical UV protection. Elta MD UV Clear SPF 46 - A reasonably lightweight physical and chemical sunscreen. I used this for a while, but didn't love the somewhat shiny finish and the "suncreen-y" smell. It's a solid option that works well under makeup, but not my personal favorite. I prefer CeraVe for a similar, less expensive option. Coola SPF 30 Classic Face - The entire Coola line is pretty decent, but I find that the mineral ones begin to separate and become unusable rather quickly. I prefer the classic line, but they contain oils which are inadvisable for the acne-prone like me. Shiseido Ultimate Sun Protection Lotion SPF 50+ - Shiseido is a Japanese company that makes a lot of great, though pricey sunscreens, and this one is both of those. Though this sunscreen is well-formulated and lightweight, it can be a bit drying and definitely leaves a white cast on my fairly light skin. But it is a good option if you're looking for something that is both mineral and water-resistant! Blue Lizard Australian Sunscreen Sensitive SPF 30+ - This one has been my new go-to daily body sunscreen this summer. Australia really knows their sunscreen, and this one is fragrance-free, all-mineral, paraben-free, and rubs in nicely with no white cast or residual greasiness. It offers broad spectrum protection and is perfect for adults and kiddos alike! Note: this one is not water- or sweat-resistant, and should not be used for swimming. The Regular and Sport formulas from Blue Lizard are better for that purpose. 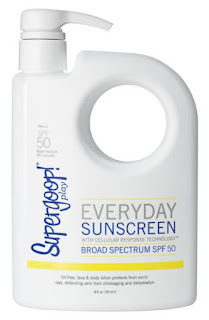 Supergoop Everyday Sunscreen Broad Spectrum SPF 50 - My pick for swimming and exercising (or just everyday, if you like), and for the awesome pump. As I know all too well with UX, sometimes it's the little things that matter, and this sunscreen that comes in a whopping 18oz pump bottle is a favorite primarily because of the size and ease of use of that pump. I'm much more likely to apply enough sunscreen when I have no fear of running out, and can easily pump more out if I need to. It also comes in smaller sizes for portability, but the best price by volume is the big bottle. The sunscreen itself has a nice, fluid texture, and blends in easily with no white cast, and a bit of hydration, and is appropriate for exercise and swimming as it's water-resistant, though I have also used this for everyday. This is one of the few sunscreens that I'd recommend that are not fragrance-free, but it only has a light fragrance that is pretty inoffensive. Aveeno Natural Protection Lotion Sunscreen SPF 50 - Another water- and sweat- resistant option that is billed as a face lotion for some reason, I have used this for my body, and while it's a bit thicker and creamier than I prefer, it's always good to have a fragrance-free mineral-based waterproof sunscreen if you're sensitive and active. Note: do not confuse this with the similarly-named "Aveeno Protect + Hydrate Lotion Sunscreen with Broad Spectrum SPF 50," which uses chemical rather than mineral sunscreen ingredients and includes fragrance. Which sunscreens are your favorites? Are there any I've missed in this guide? Main image via Na Nin. I haven't heard of or tried Raw Elements, but I'll look into it! Such an ordeal, especially with kids! 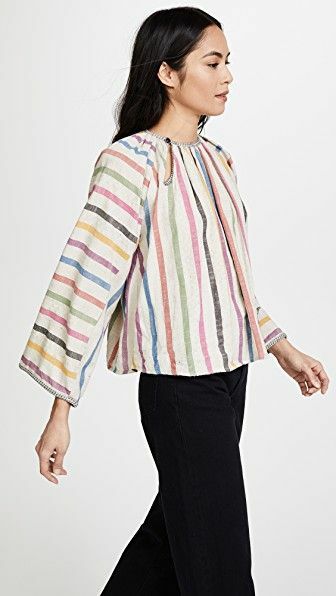 I try to check all my products on the EWG site before buying and unfortunately all of these on your list have ingredients that I don't feel entirely comfortable with like dimethicone-- so we use badger which drives me up a wall because it's so hard to blend in and leaves the white residue. I was hoping to find an alternative :( Would love some other suggestions. I do use the Mychelle SPF 28 for my face which I really like and the ingredients are ones I'm comfortable with. When it comes to choosing a lesser evil, dimethicone is my pick, but it's certainly not for everyone. I will definitely have to check out the Mychelle one, and of course I will always keep looking! Thanks for commenting and for keeping me on my toes! It definitely smells like sunflower oil, and if you're not used to oil-based products you might think it's greasy, but it absorbs pretty quickly and looks to be water resistant, which is really hard to find in the natural/physical sunscreen world. I am loving the discussion around this post! Thanks for the recommendation, Sarah! I'm definitely wary of anything containing comedogenic oils since I can break out like crazy at the drop of a hat. (This is why most natural skincare lines haven't worked well for me— they all seem to be designed for normal/dry and non-breakout-prone skin!) but I am intrigued by the Raw Elements sunscreen since my body is less prone to breakouts and the oils included are fairly low on the comedogenic scale, so it might be worth a try! Wendy - I'm actually pretty sensitive/combo/breakout prone myself, but for my skin at least I've found that the right oils can actually be my friend to help keep everything balanced. I can't vouch for the Raw Elements just yet (I'll need to wear it a bunch on my own skin first), but I do remember reading reviews on Amazon from people who claimed to be breakout prone and who used this on their face and actually seemed to think it helped. Fingers crossed! Let me know how all those other ones go! It's always great to have backups. We've also used Block Island Organics which has good ingredients, and is ok if you're not getting wet, but it is not water resistant at all (plus it is definitely pretty white). Goddess Garden sunscreen wasn't bad, but I prefer all zinc to the zinc/titanium mix. I thought when I looked into Think Baby it had dimethicone? Curious about All Good. Man, discussing sunscreen is like going down a rabbit hole lol. Then again, I'm in the slim minority in that I have skin that still regularly breaks out even after tons of dermatologist visits and a course of Accutane (debating doing a second course right now, actually!). So when it comes to comedogenic ingredients and my face, I am insanely risk-adverse! Huh, interesting Sarah-- Think Baby has Cetyl Dimethicone which is less hazardous than just regular Dimethicone according to EWG. I have no clue what the difference is or what that means! Will look at Block Island. Goddess Garden we used last year and liked the trigger pump, but the EWG ratings on some of the ingredients weren't so hot (the ones in the tube and not in the pump have great ratings so maybe we will try those!) so we skipped that one and stuck with Badger this summer which in my experience is still the best protection and safest ingredients, but it drives me nuts to apply.